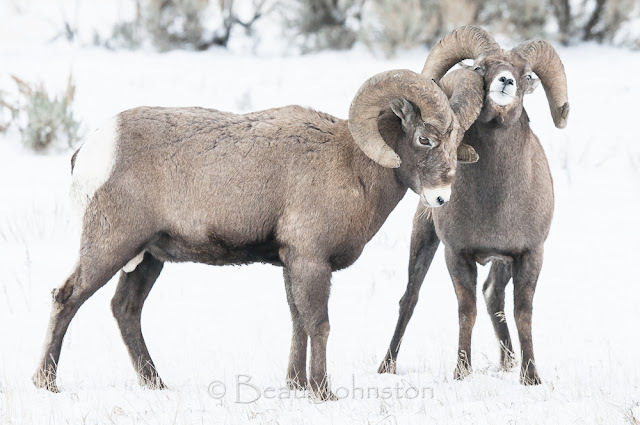 I recently had the opportunity to travel to Wyoming's Absoroka mountain range, near Cody, to photograph the bighorn sheep rut. 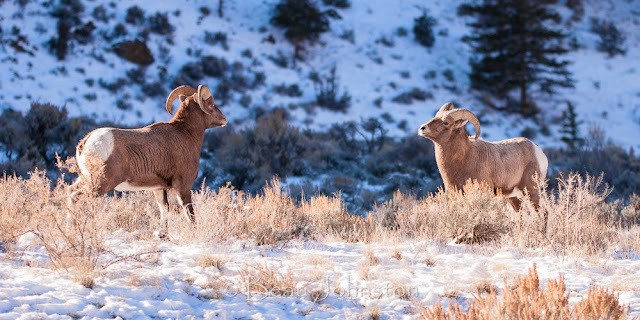 The trip, which would allow our group to view and photograph the bighorns, would require a lens with a little more reach than my old Nikon 80-200mm f2.8. Wanting to be well prepared for unique photographic opportunity, I decided to begin looking into renting a lens. I have rented/used Nikon's 400mm f2.8 on multiple trips into Yellowstone, but I could not justify the rental price for this trip. I had heard people say they were not as sharp, had chromatic aberration issues, and all around less quality than the name-brand lenses. 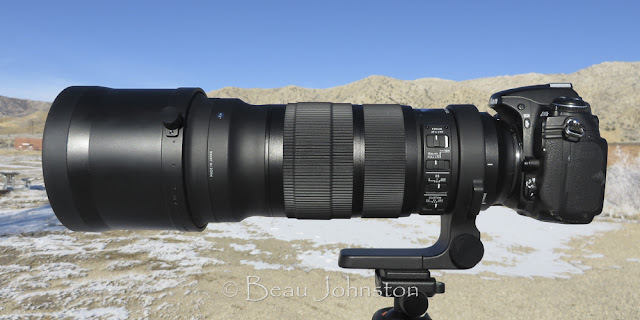 Not one to take someone's anecdotal data as proof, I decided to do my own research, save some money, and rent Sigma's new 120-300mm F2.8 DG OS HSM | S lens. I used the 120-300mm to photograph bighorn sheep over two full-days. The lens appeared to be very well constructed. The zoom and focus ring movements were precise. The lens mounted tightly to my D300s and I never noticed any play over the two days of shooting. 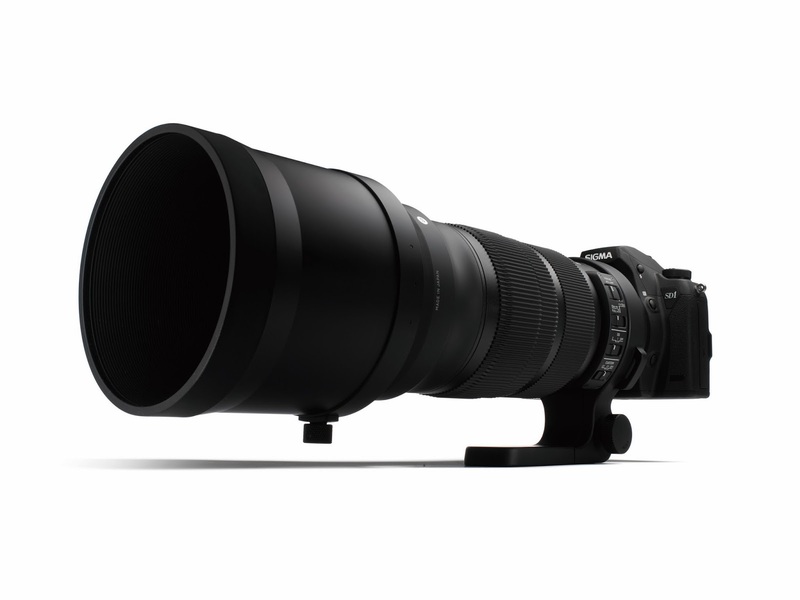 The 120-300mm weighs nearly 2.75lbs less than the Nikkor 400mm f/2.8 but is just over a pound heavier than the Nikkor 300mm f/2.8. 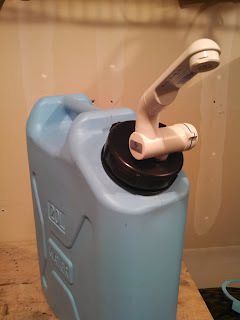 Over the two days of testing I was able to both handhold the lens and use it while connected to my Vanguard BBH 200 ballhead. I found the lens to be very easy to hand hold. The two levels of optical stabilization worked well and the affect was almost immediately noticeable. I felt I was able to quickly pull the camera/lens up, activate the optical stabilization, and capture the images I was looking for. While I never conducted an experiment to measure the lens' focusing speed, I felt it was a little slow compared to the other lenses I have used. I believe the focus was accurate but it took longer than I expected. The lens' focus and zoom rings work opposite that of the Nikkor lenses I am familiar with. I did find myself, on occasion, becoming frustrated as I would zoom or focus opposite of what I was expecting. This resulted in missed or out of focus shots. 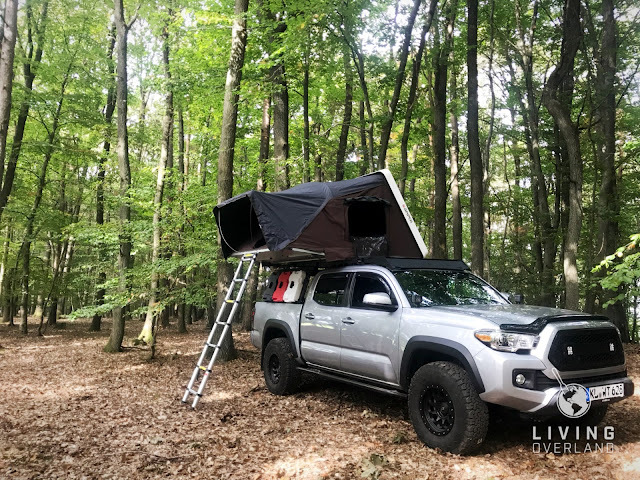 Over the two days of shooting, I was able to eventually become familiar with the design and operation and began to get it right by the second day. While I was getting better at operating the Sigma, it was harder to switch back to my Nikkor lens. I was having to think more about what I was doing and the processes of zooming and focusing became less instinctual. I don't think it would get less confusing over time. I am impressed with the sharpness of the images I was able to capture with the lens. The above two images show one of the original images with a 100% crop of the rams head. 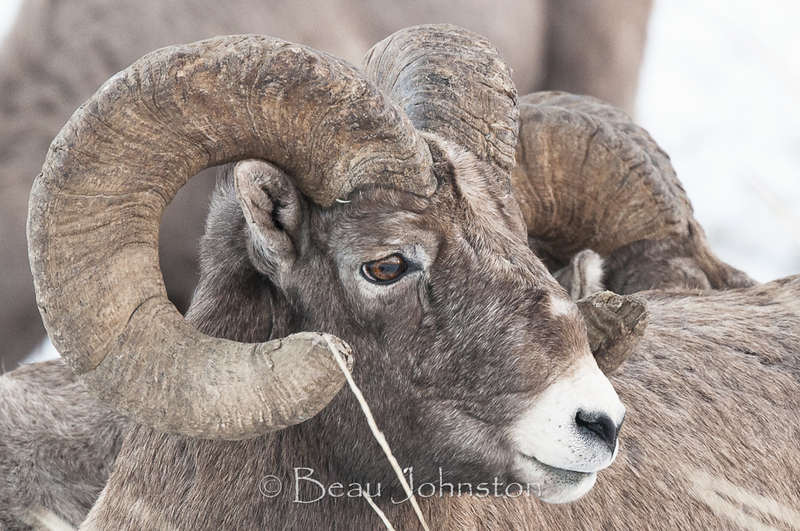 At 300mm and f/4.0, I am able to see the detail in the ram's eye and the texture of his weathered horn. Again, while I have no way to quantify the sharpness, I am very pleased with how the images turned out. 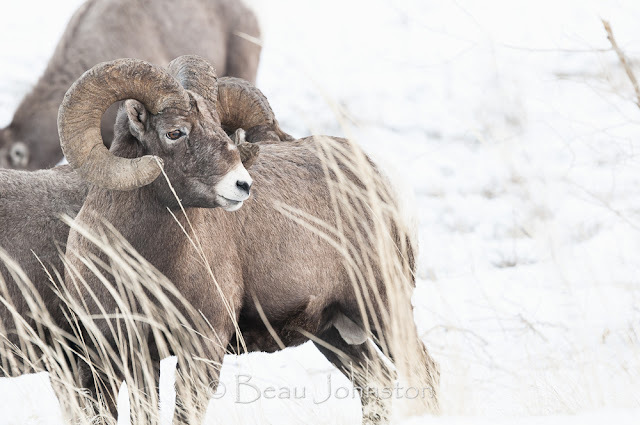 The Sigma 120-300mm was the first third-party lens I have ever really used and I was not sure what to expect. The lens is less expensive than its Nikon counterparts - 1/3 the price of a 400mm - a big plus in my book, and I am impressed with the lens' construction, sharpness, and optical stabilization. The lens does have some limitations, the largest being the rotational direction to focus and zoom. I can only see myself becoming more and more frustrated, as I switch between this and my Nikon lenses. This frustration may not be enough to deter me from renting it again in the future (i will admit I like to save money) but I don't think I would ever buy this lens. I think I would be willing to spend a little bit more money to have a lens that was a sharp as this lens and could be operated in the same way as my other Nikon lenses.